THE UNEMPLOYED EATER: Taste the Pier Next Weekend at Taste of the Pier. Taste the Pier Next Weekend at Taste of the Pier. Oh wait. 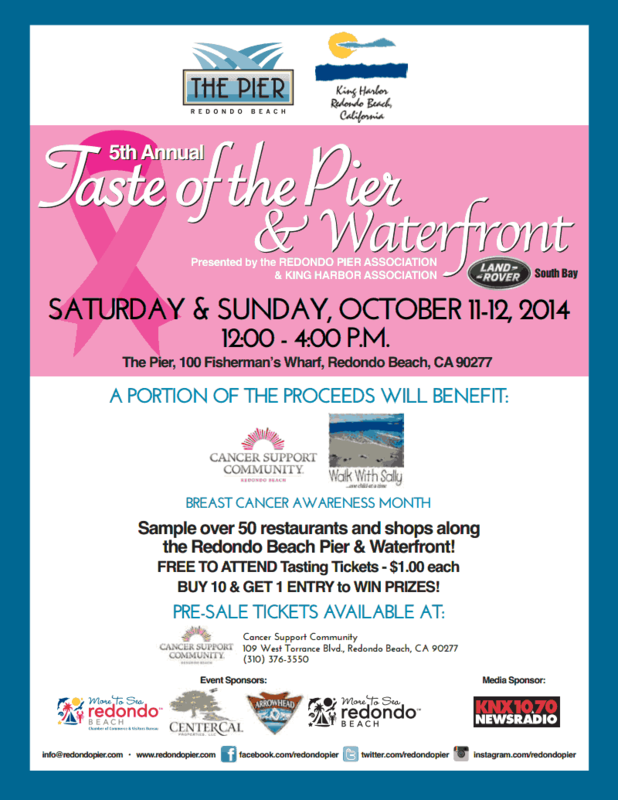 Next weekend, October 11th and 12th, from 12-4 pm, there's The 5th Annual Taste of the Pier & Waterfront in Redondo Beach. And unlike most LA food events, in which admission equates to bankrolling a large wedding, The Taste of the Pier is PRO-BONO. It costs $0 to enter. And only a measly buck ($1) for each tasting ticket. You even buy $20 in tickets in advance, they'll soft toss 5 free ones your general direction. A portion of the proceeds benefit local charities as well. So that's beach, food, free, a buck and charity. Service at this place is always prompt, professional and courteous. Came here in the summer for some raw clams and oysters. Really fresh and delicious. I ended with the pasta with clam sauce at San Francisco restaurants. This was really amazing!! Afterwards I went home and try to re-create it.